Carrying the Same Slogan of “Technology. Innovation . Talent” the international technology entrepreneurship event took place on May 7th to 8th 2016. Techne summit is an annual event that kicked off in October 2015 acts as a platform including the main global players in the technology industry namely technology businesses, entrepreneur, startups and investors. Savvy Arabia has exhibited at Techne Summit 2016, the exhibition gave us opportunities and opened up possibilities for business collaborations as well as foster the exchange of ideas and experience across various regions worldwide. Techne Summit 2016 was held under the auspicious of The Ministry of Communication and Information Technology where Minister H.E. Eng. Yasser El Kady led the event’s opening ceremony along with Previous Alexandria Governor Mr. Mohamed Abdel-Zaher. The event focused on connecting companies and entrepreneurs, as well as fostering collaboration and presenting opportunities for businesses particularly keen on growing in the Middle East and Africa regions. 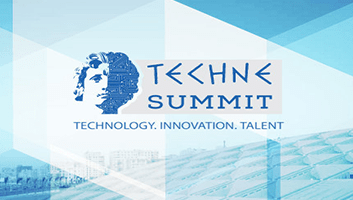 Techne Summit 2016 was built on the success of the first Techne Summit held back in October 2015 where it was the first of its kind event in the region. And it will continue with the same success and goals.